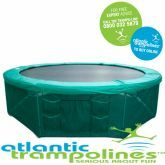 The 14ft Trampoline Package has been put together to create an Ultimate Trampolining Deal, and to save you over £65.97 plus FREE delivery! 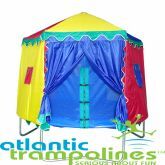 The 14ft Trampolines with Enclosures Packages include a Trampoline Enclosure, Trampoline Tent, Trampoline Anchor Kit, Trampoline Ladder, a Trampoline Cover and a Shoe Bag to safely store your shoes while jumping. 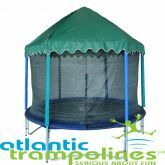 This 14ft Trampoline with Enclosures offer is exclusive to Atlantic Trampolines and is the perfect way to get started with trampolining. 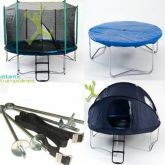 The 14ft Trampoline is ideal for the whole family, and is ideally suited to large gardens. 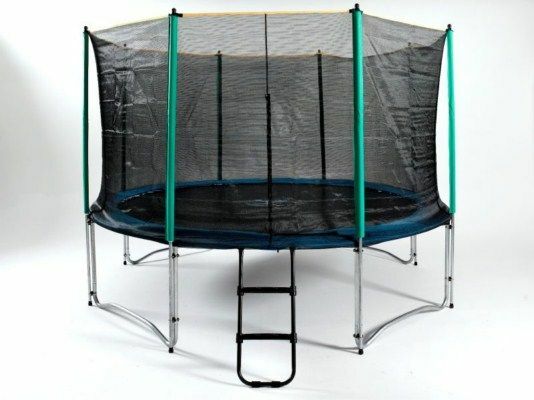 Trampolines have been used to enhance a lot of sports, such as acrobats, gymnastics and even basketball, with a world record being broken for the longest slam dunk utilising a Trampoline. However the Belgians have used them to enhance volleyball, creating Bossaball! The sport is a bizarre mixture of volleyball, soccer, gymnastics and even capoeria (which is a Brazilian martial art). All of it takes place on a bouncy castle/Trampoline hybrid that allows players to leap high in the air in order to defeat the opposition. While the main area is essentially an inflatable volleyball court, Trampolines are placed in front of the net as well as at the sides so that players can gain some serious height when spiking or smashing the ball. Teams are made up of three, four or five players, one of which must be always be on the Trampoline while the rest of the team set the ball up for him to 'smash'. Like volleyball, the idea is to score points, but in Bossaball the game is over once one team reaches 25 points. Although it was developed in Belgium, Bossaball has spread all over the wall with clubs being started in Brazil, Germany, Spain and Kuwait. The name comes from volleyball and Bossa Nova, which is a famous form of Brazilian music. It is often played during Bossaball games to get the crowd pumped. While it may not be an Olympic sport, it is incredibly fun to play, combining athleticism, volleyball and the skills of trampolining into one crazy game. 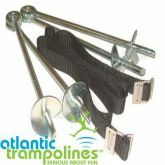 Atlantic Trampolines stock 14ft trampolines with enclosures package - Buy Now. How would you like the chance to win a family voucher to spend a day at a Go Ape! high-wire forest adventure?